With only a yellowing photograph in hand, a young man - also named Jonathan Safran Foer - sets out to find the woman who might or might not have saved his grandfather from the Nazis. Accompanied by an old man haunted by memories of the war, an amorous dog named Sammy Davis, Junior, Junior, and the unforgettable Alex, a young Ukrainian translator who speaks in a sublimely butchered English, Jonathan is led on a quixotic journey over a devastated landscape and into an unexpected past. As their adventure unfolds, Jonathan imagines the history of his grandfather's village, conjuring a magical fable of startling symmetries that unite generations across time. Lit by passion, fear, guilt, memory, and hope, the characters in Everything Is Illuminated mine the black holes of history. As the search moves back in time, the fantastical history moves forward, until reality collides with fiction in a heart-stopping scene of extraordinary power. An arresting blend of high comedy and great tragedy, this is a story about searching for people and places that no longer exist, for the hidden truths that haunt every family, and for the delicate but necessary tales that link past and future. 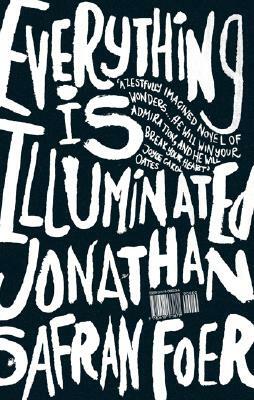 Exuberant and wise, hysterically funny and deeply moving, EVERYTHING IS ILLUMINATED is an astonishing debut.